iSkysoft iPhone Data Recovery is your one-stop shop to recover data from any iDevice, including the iPhone, iPad, or iPod Touch. Developed byiSkysoft Studio, you can try this app for free before you buy it. 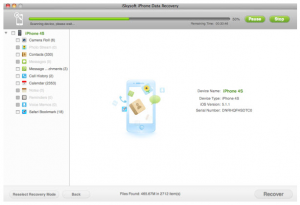 Described by the developers as the “ideal solution to recover data from an iPhone that is either lost, reset to factory settings, or failure to upgrade or jailbreak,” iSkysoft is great for restoring all kinds of lost data. In addition to pulling data from your iTunes backups, you can also use it to restore things from your Camera Roll, Contacts, Messages, Message attachments, Call history, Calendar, and Notes. 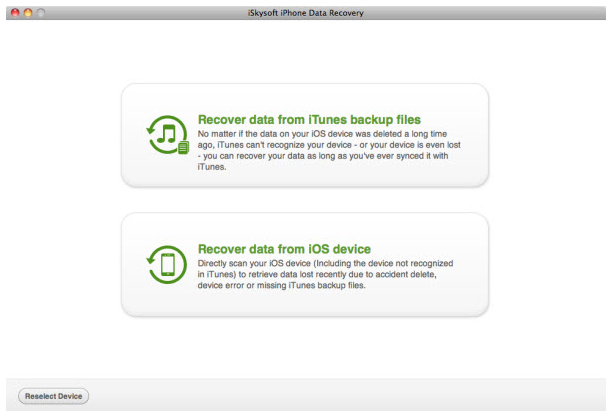 One thing that I really love about iSkysoft iPhone Data Recovery is the fact that you don’t have to recover every single item you’ve lost. Thankfully, iSkysoft allows users to preview files and only recover the ones that you actually care about. A full table that explains which devices are compatible with a given data recovery scenario can be accessed here. 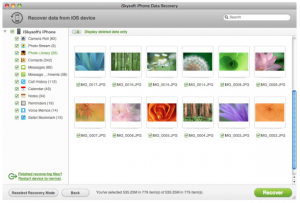 For example, files that have been accidentally deleted can be restored on the iPhone 5, iPhone 4S, iPhone 4, iPhone 3GS, iPod touch 5, iPod touch 4, iPad with Retina display, iPad mini, the new iPad, iPad 2, or an iPad 1. 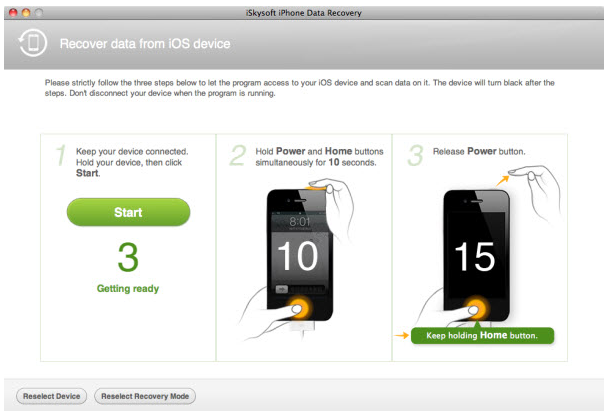 However, this tool can only help those with device damage if they have an iPhone 4, iPhone 3GS, iPad 1, or iPod touch 4. Reviewing the whole table will help you determine if this tool will meet your needs. 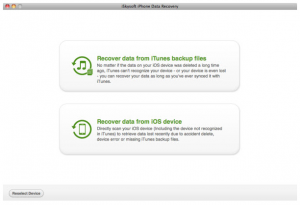 Featuring a great interface and a 30 day money back guarantee, iSkysoft iPhone Data Recovery for Mac is an interesting app that is worth checking out. 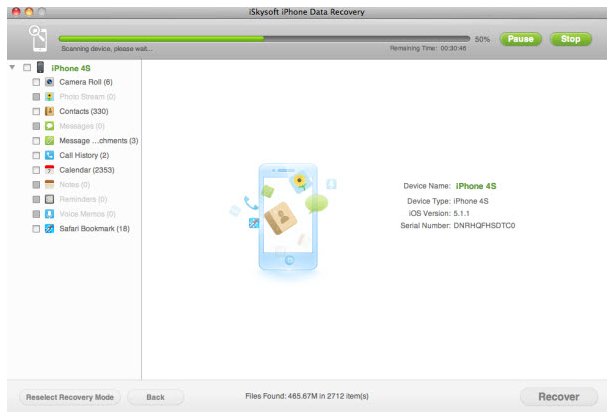 If you’ve ever accidentally deleted a file or had your iOS device falter, you know just how useful iSkysoft could be. 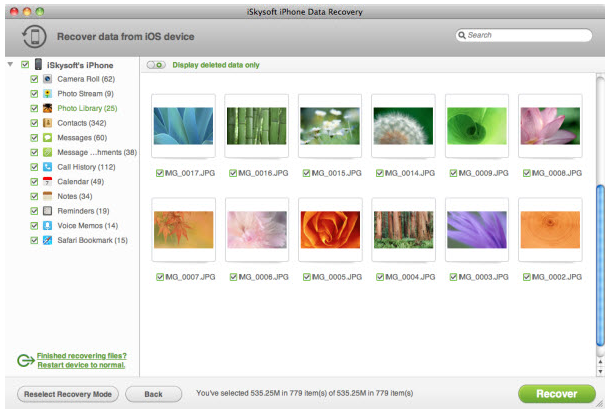 iSkysoft iPhone Data Recovery is compatible with Mac OS X 10.8 (Mountain Lion), 10.7, or 10.6. Requires a CPU with Intel 1GHz or above, plus a hard drive with 1 GB or above. Most features are compatible with iPhone 5, iPhone 4S, iPhone 4, iPhone 3GS, iPod touch 5, iPod touch 4, iPad with Retina display ,iPad mini, the new iPad, iPad 2, and iPad 1.